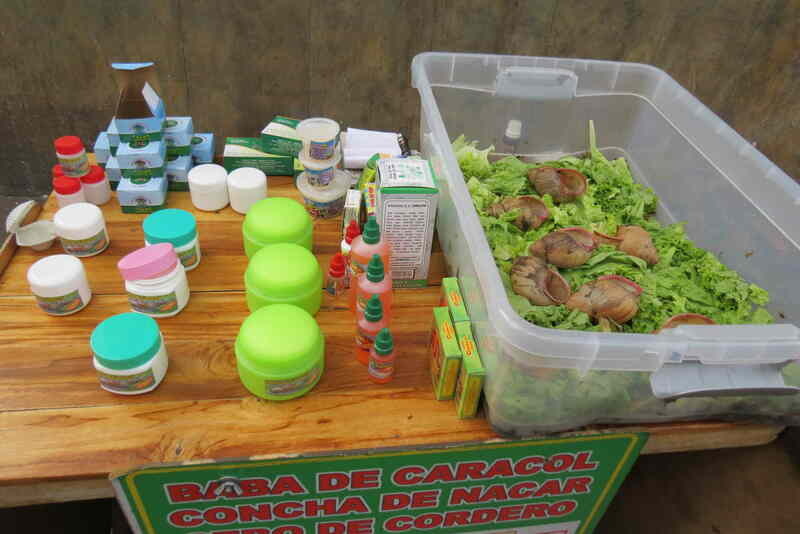 Edgar sets up his little stand every day on Ave. Septima near 24th St. and sells snail slime. Really. 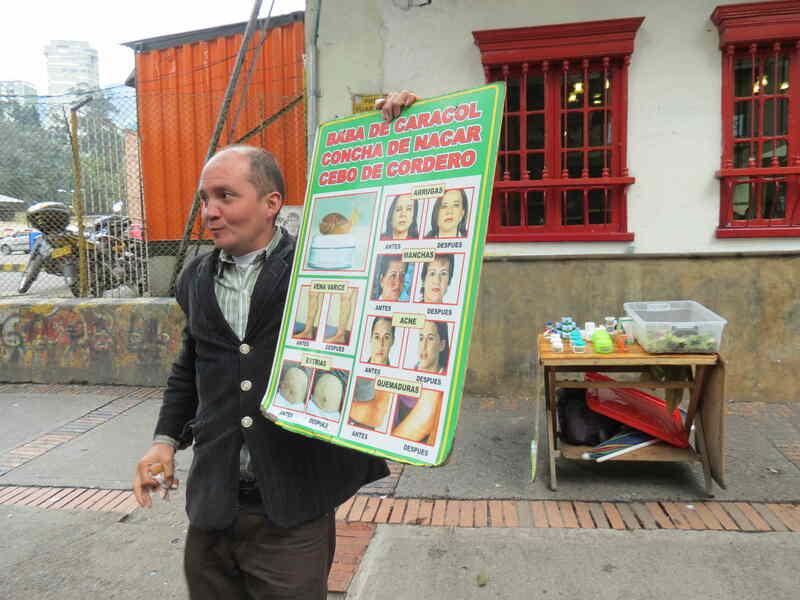 Often, we stop and meet him during our bike tours. Yet another happy customer buying snail slime.ail slime. Really. 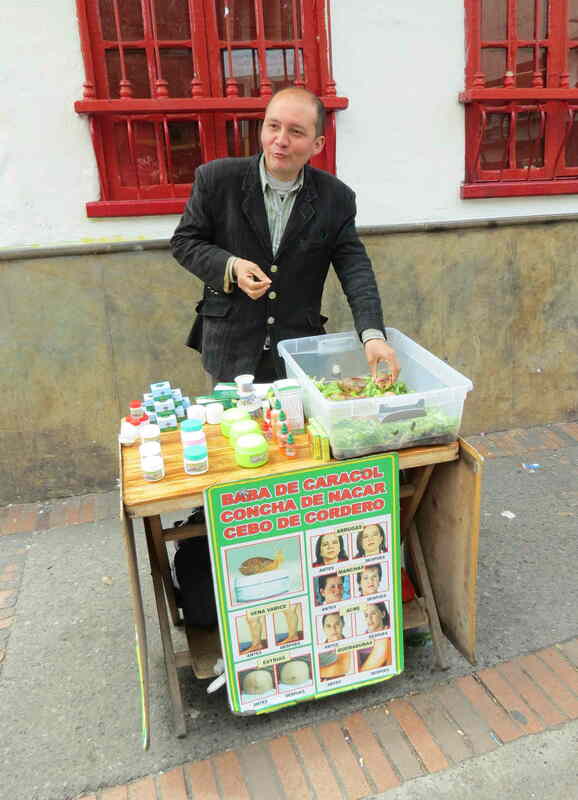 He says the stuff treats wrinkles, stretch marks and acne. And it must be true, since I’ve never seen a snail with acne. And Edgar himself has real baby skin. 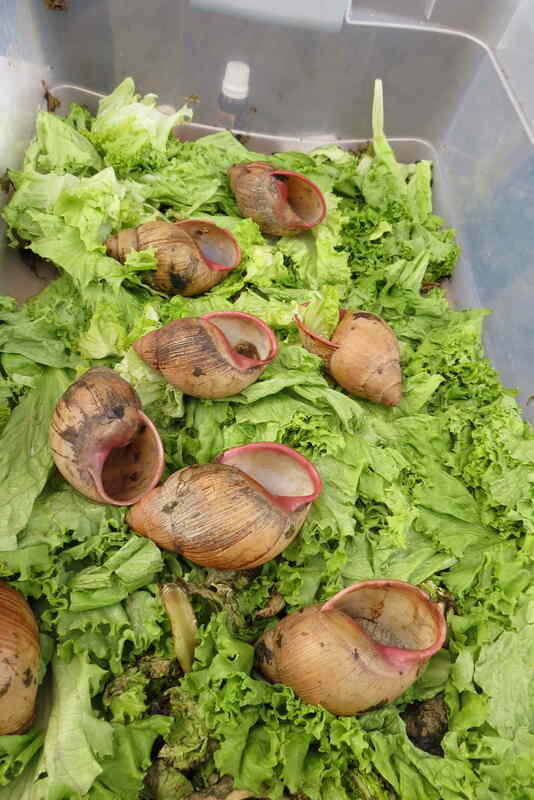 Edgar says he’s got hundreds of snails at home, working away producing the slime, which he harvests without harming the critters. Before and after snail slime treatment. 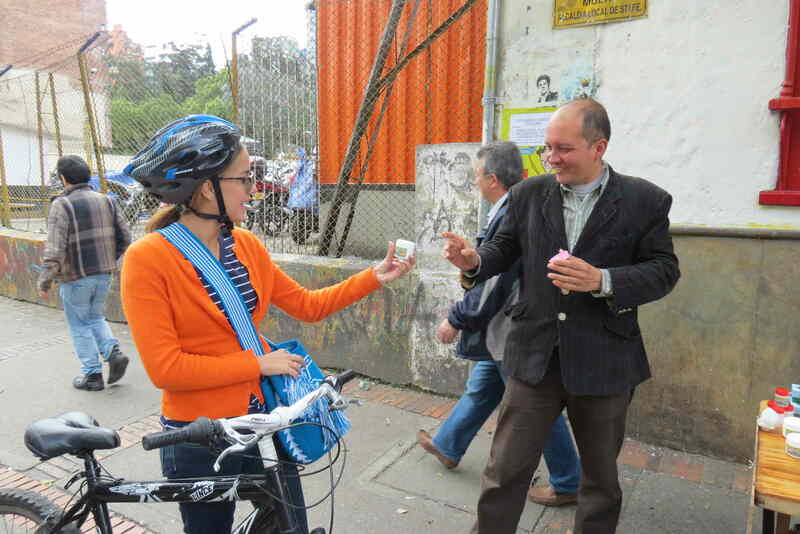 This entry was posted in Uncategorized and tagged bike tours, Bogota, colombia, snails. Bookmark the permalink.